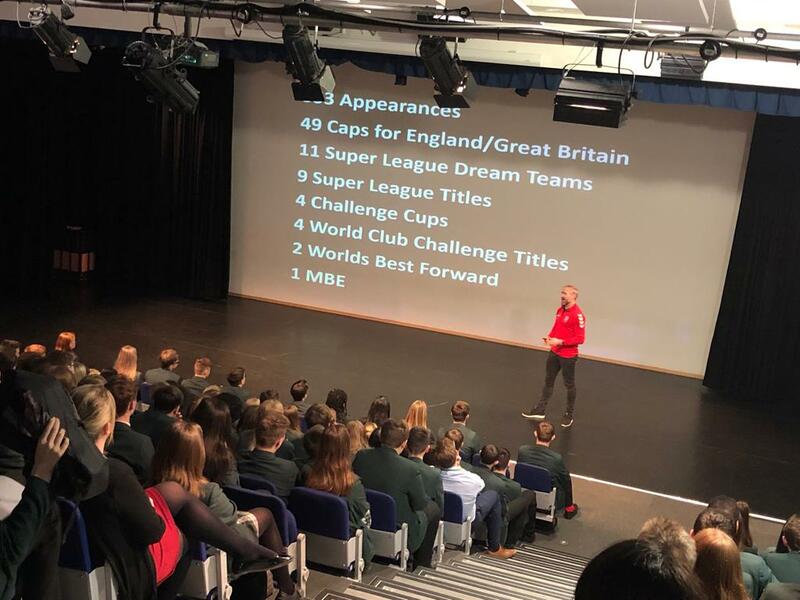 On Friday 25th January 2019, we welcomed Former Great British Rugby League captain and current manager of England Rugby Jamie Peacock MBE into Horizon for the morning to talk to our students. 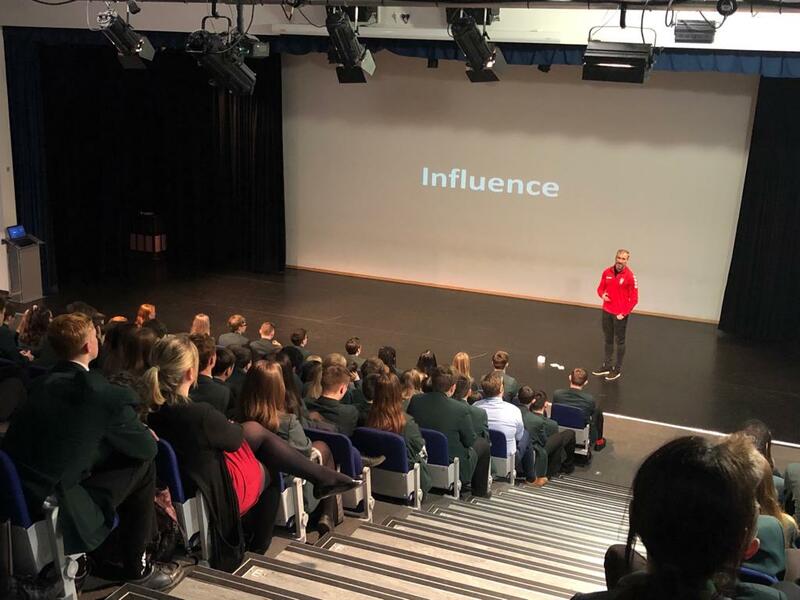 The first session saw Jamie speak to Mr. Claytons Year 9 GCSE PE class about life at the top level of sport and how having a positive mental attitude helped throughout his career. The second session saw the whole of Year 11 receive a motivational speech that Jamie called “No White Flag”. 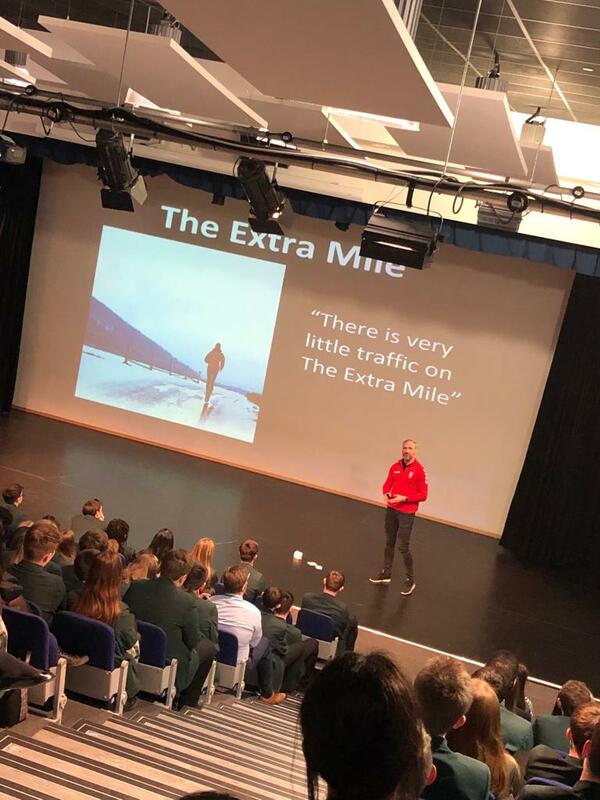 This speech covered 8 different topics: Good Attitude, Positive Influences, Self-Discipline, The Extra Mile, Belief, Self-Improvement, Resilience and finally having a No Limits Attitude. Jamie used examples of times in his life where these 8 things have been key and how students can relate to these throughout their last weeks leading up to their GCSE’s. 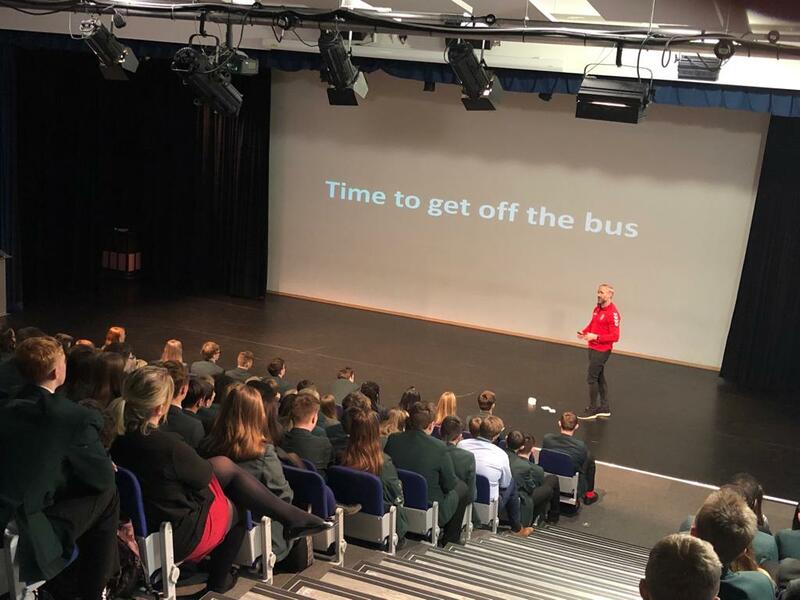 The college would like to thank Jamie for giving up his time and we hope that our Year 11 students took some elements of this talk away with them and will find that extra mile!